While Donald Trump's election victory may feel like it came out of left field for some citizens, The Simpsons predicted his road to the White House 16 years ago. In a 2000 episode called "Bart to the Future," Bart has a reverie of his life as a 40-year-old adult. In the vision, his sister Lisa Simpson is the country's first "straight female" president. In one scene, Bart visits her in the Oval Office where she's conducting a meeting about the country's current economic status. "As you know, we've inherited quite a budget crunch from President Trump," she tells her staff as they realize the economy is in a complete decline. "The country is broke! How could that be?" she adds before Bart storms through the office doors. In 2015, the longtime hit Fox series took Trump to task again for the 2015 episode "Trumptastic Voyage" as it mirrored the real-life presidential campaign he had launched at the time. 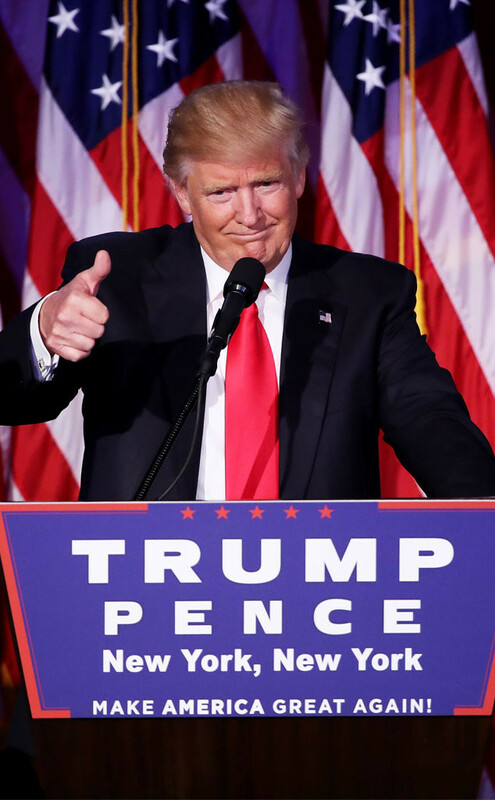 On Tuesday night, Trump officially became the 45th president elect of the United States. In March, writer Dan Greaney addressed the brief foreboding quip. "It was a warning to America," he told The Hollywood Reporter. "And that just seemed like the logical last stop before hitting bottom. It was pitched because it was consistent with the vision of America going insane." "The Simpsons has always kind of embraced the over-the-top side of American culture," he added. "[Trump] is just the fulfillment of that." Did a Fall From a Tree Kill Lucy, Our Famous Ancestor? New analysis suggests that Lucy—one of the most complete hominin fossils ever found—met a tragic end three million years ago. Lucy, our renowned hominin relative, died some 3.18 million years ago after plummeting from a tree, according to researchers from the University of Texas at Austin. A new analysis of the fossil—conducted more than 40 years after its discovery in what is now Hadar, Ethiopia—has revealed a pattern of distinctive fractures that, the scientists claim, points to a fall from great heights. This theory, however, is already provoking controversy. Some researchers remain unconvinced, arguing that the cracks in Lucy’s bones formed long after her death. 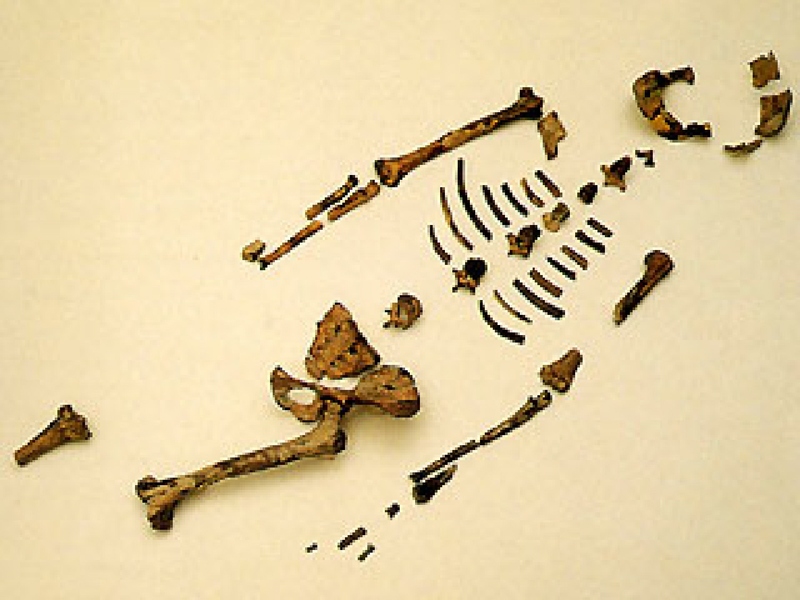 Lucy, a member of the species Australopithecus afarensis, was discovered in 1974. About 40 percent of the skeleton had been preserved, making her one of the most complete hominin fossils ever found. At the time of discovery, the researchers noted a considerable amount of damage to the bones—which they attributed to weathering and other fossilization processes—but they had inadequate evidence to speculate on the cause of death. But in 2008, Kappelman and his team were able to get their hands on the rock star fossil while she was on tour at museums in the United States. They conducted CT scans of each of the bones, and, in a protracted process that lasted the next eight years, his team meticulously analyzed the 35,000 digital slices the scans generated. “It was looking at those scans and the way that her skeleton was built that these unusual fractures came to light,” says Kappelman. According to Kappelman, while bones break naturally over time postmortem, they usually fracture across the bone—analogous to a dry stick being snapped in half. A closer examination of Lucy, however, revealed fractures that he claims are far more common in living bone. For example, the researchers observed hinge, or greenstick, fractures, in which one side of the bone breaks while the other remains intact; similar to what happens when you try to snap a small healthy tree branch. The scientists also noticed that tiny bone fragments that splintered during the fracture remained lodged in the bone cracks. This finding, Kappelman argues, provides additional evidence that the fractures took place in living tissue, since breaks in dried bone likely would have dispersed these tiny fragments on the ground nearby. And because these fractures showed no signs of healing, the team concluded that Lucy sustained these injuries in a fatal traumatic event. Additional evidence points to a scenario of a terrifying fall. Notably, her right shoulder has distinctive compression fractures that are characteristic of someone extending their arms as they plummet to the ground. Kappelman and his team then scrupulously examined fractures in the rest of Lucy’s skeleton, creating 3-D models to digitally dissect or recreate certain components. Their analysis revealed a cohesive pattern in her ankle, knee, shoulders, and wrist that they are convinced points to a fall from a significant height that would provide the force necessary to break her bones. Based on studies of fossilized mammals and pollen, as well as geology in Lucy’s environs, the researchers knew that the area probably had been grass-covered woodland on a flat floodplain with plenty of large trees capable of facilitating the fateful accident. Kappelman and his colleagues speculated that small hominins like Lucy, who stood a mere one meter (three and a half feet) tall and weighed around 27 kilograms (60 pounds), likely nested in the trees at night to protect themselves from potential predators. By analyzing previous studies of chimpanzee nesting patterns, the team showed that Lucy would probably have climbed around 14 meters (45 feet) out of harm’s way—which, for us, would be equivalent to ascending a four to five story building. According to their calculations, a fall from this height could result in speeds exceeding 37 miles (60 kilometers) an hour, which, when combined with Lucy’s weight, would produce a force sufficient enough to be fatal. The researchers have “come up with what strikes me as the most plausible explanation for the breakage—mainly a fall from considerable height onto a very solid surface,” says David Pilbeam, a paleoanthropologist at Harvard University who advised Kappelman on his dissertation 30 years ago. Not everyone, however, is convinced that the evidence points to this scenario. In particular, some scientists fault Kappelman for failing to consider other possible explanations. If Kappelman’s research were to become widely accepted, the findings could help settle a long-standing debate: Were hominins like Lucy tree climbers? Australopithecus afarensis displays both ape and human features, leading some paleoanthropologists to believe that Lucy probably spent time both in the trees and on the ground. For example, her curved fingers and long arms are specialized for tree climbing while her shoulder blades are oriented for overhead movement of the arms that are reminiscent of apes. Yet she also displays several features seen in early humans, including an anatomy clearly suited for upright walking, leading other researchers to conclude that she spent all of her time on the ground. Lucy’s theoretical fall could indicate that her species wasn’t suited to climb trees or that she was, at least, semiarboreal. For his part, Kappelman will continue to analyze other aspects of Lucy’s skeleton and may even look for her fracture pattern in different fossils found in the area. In the meantime, he says, the research has made him see Lucy in a new way. The second route of Addis Ababa Light Rail system, stretching from Hayat Square-Megenagna-Torhailoch is about to begin operation by the end of October. 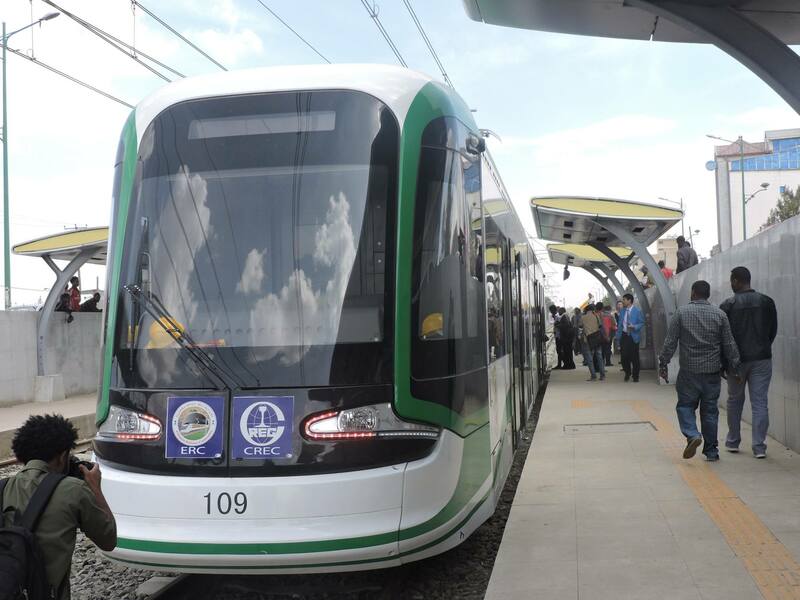 According to FBC, Awoke Mulu, Public Relations Director at the Addis Ababa Light Rail Transit (AA-LRT), said that installation of electric cable, construction of ticket offices and recruitment of manpower are about to be completed to begin the railway service. He added that electronic ticketing machines are being installed in four chosen areas to replace the manual ticketing system. “All the 41 trams are going to start giving services to deal with the passengers’ complaint of a long time wait at the stations to board a train,” he added. The first railway route stretching from Menelik Square to Kality is transporting 60,000 passengers a day, generating 200,000 birr revenue. Sudanese capital Khartoum is due to host the Sudanese-Ethiopian Investment Forum this Saturday. The two-day forum is organized by Sudan's National Investment Agency in collaboration with the Ethiopian embassy in Khartoum. Higher Council for Investment State Minister Ali Tawer said in statement here Sunday that the forum would provide a strong boost for the progress of economic, social and cultural relations between the two countries. It also reflected Sudan's keenness to activate investments between the two countries, he added, noting that the forum's agenda would focus on achievement in the investment field through a review of various working papers on joint opportunities for trade and investment, banking transactions and the activation of bilateral and regional agreements. Tawer also revealed that meetings of the Sudanese-Ethiopian Ministerial Committee will be convened between May 24 and 28 in Addis Ababa, where a Sudanese trade and investment exhibition will be held. It happens last night, May 2 in the place she live with. An Ethiopian girl , Betty Sinshaw died of a gun shot by her room mate and apparently, her Boy Friend – A Nigerian man. The man also killed himself. Betty was 28 years old and a mother of an 8 years old Son. A funeral arrangement is still not decided yet. The family, though, needs your support to cover the cost. She lost her mom for Cancer last year and her dad few years back. Please help if you can. Her families address is 3204 Sunrise village Apt. E, Norcross, Ga 30093. If you want to call them, please inbox us for the phone number…. This is not a good week for Ethiopians in Atlanta, as another Ethiopian man, Feyessa Tadesse, took his life yesterday. He also has no families here. R.I.P both.